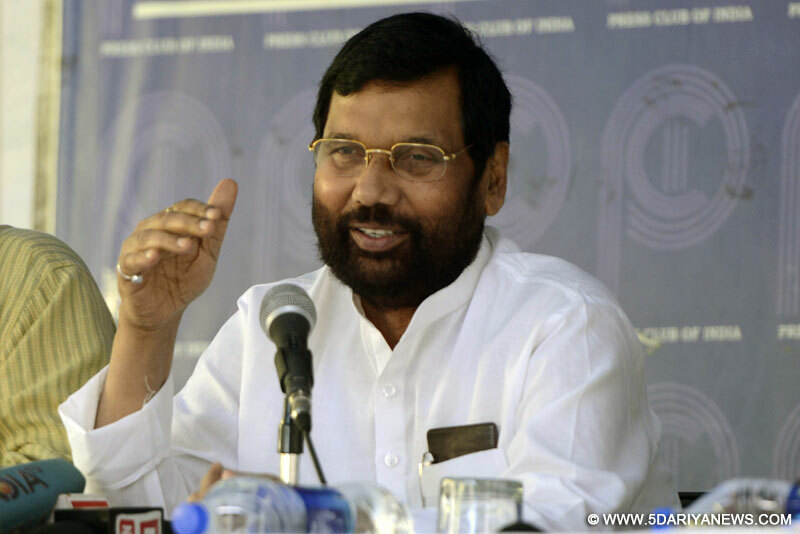 Union Minister and Lok Janshakti Party President Ram Vilas Paswan on Saturday said Sharad Yadav could leave the Janata Dal-United (JD-U) if he wants to do so. "Actually, I do not want to make any comment on it. There are chances, he may form his own party. He has been told (by JD-U) that he is free now and he can leave the party. Why is not he leaving if he wants to," Paswan asked while speaking to the media here.Differences between Bihar Chief Minister Nitish Kumar and Yadav surfaced after the former parted ways with Lalu Prasad-led Rashtriya Janata Dal and formed a new government with the support of the Bharatiya Janata Party in Bihar last month.Reacting to Yadav's claim that he formed the party and the real JD-U was with him, Paswan said: "One's power matters in the politics and JD-U leader and Nitish Kumar had that influence today". "In politics, it does not matter if you form a party or not. The most important thing is that one who wields the power, calls the shots. Sharad Yadav should accept that Nitish Kumar has that power today and he does not have," Paswan said.Also, he took a dig at Yadav for calling Nitish Kumar's JD-U "sarkari party" saying: "When he (Yadav) was minister in the NDA government, then it was not a sarkari party but a revolutionary party. Now, he is not in the government, the party has become a sarkari party? "Paswan said his party would welcome Nitish Kumar's entry in the National Democratic Alliance (NDA) fold. "Anyway, he has become a part of the NDA. Just technicalities remain. Let him come in the NDA, we will work together," he said, adding that Kumar had no option but to snap ties with the RJD due to involvement of Lalu Prasad and his family in corruption cases.Paswan also said that an inquiry should be made in the death of around 60 children in Gorakhpur in Uttar Pradesh and action should be taken against the responsible.